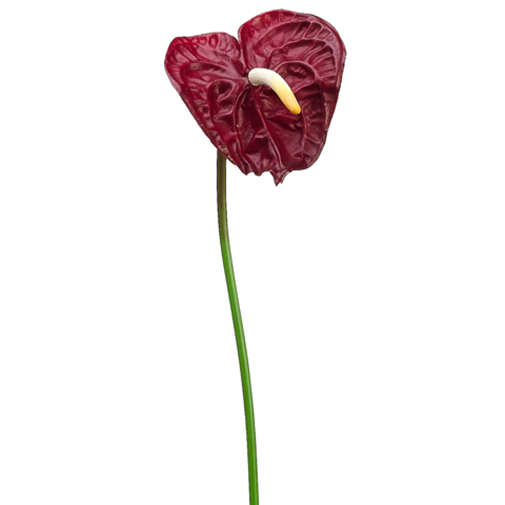 Stunningly beautiful, this 26" handwrapped silk small anthurium flower spray with it's natural-looking flowers will remain fresh for years together and never wilt or wither. Perfect for creating wedding bouquets, wreaths, potted arrangements, boutonnieres and so much more. You can use them alone in single stem flowers or in combinations of different types of stems to create that stunning arrangement you always wanted.